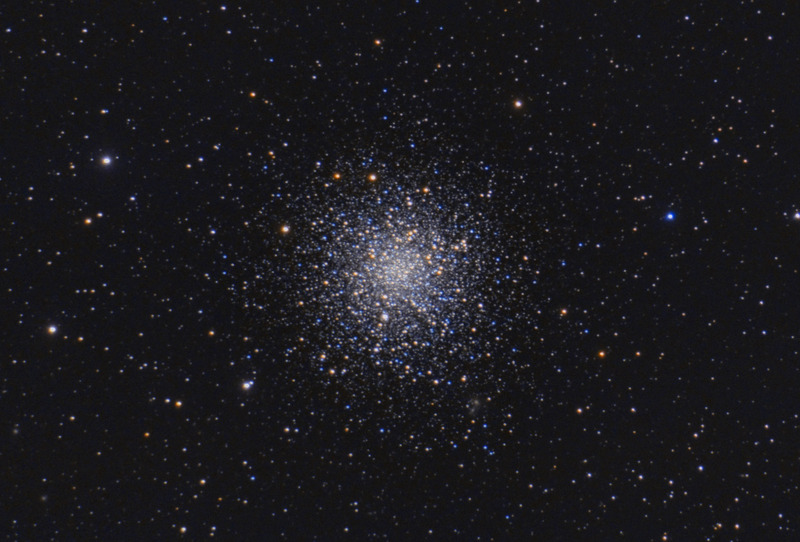 M12 is a fairly bright magnitude 6.1 globular cluster. Once thought to be a dense open cluster, it now known to be a loosely packed globular cluster. Astronomers believe that gravitational interactions with the Milky Way Galaxy have stripped M12 of all of its low mass stars. Despite my trials and tribulations, this image was published by Astronomy Magazine as its Picture of the Day for February 25, 2016!